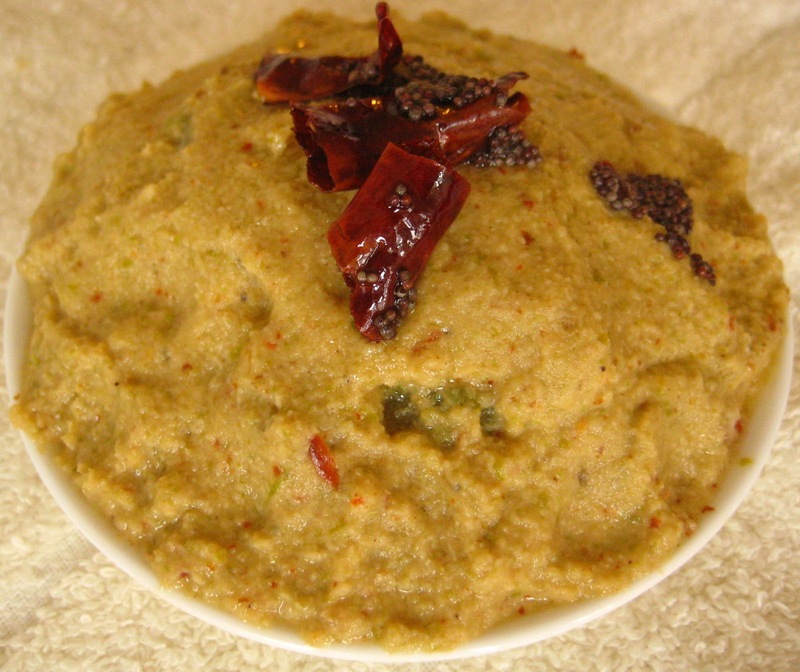 Here is a typical Havyaka style Sorekaayi chutney recipe. I learnt this recipe from my mom. It doesnt take much time to prepare. Give it a try. Enjoy. Cook the Sorekaayi sippe in water for 10-12 min ( until it becomes soft). 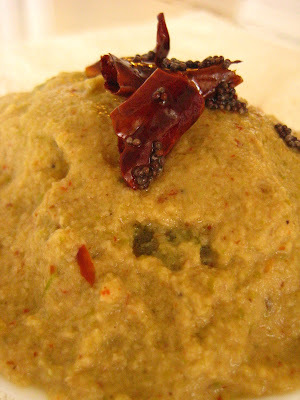 Roast the red Chilies, Coriander seeds and Hing in 1/2 tsp Oil. Grind the roasted spices , Tamarind and salt with coconut for about 2 min, then add the cooked Bottle gourd peel and very little water. Again grind for a min. Finally temper with Mustard seeds and broken red chili. Serve with hot plain rice and a piece of Onion. Hi naanu havyaka neenu havyaka":))meeting so many havyakas in the blogosphere accidentaly!ninna blog bari laykiddu.sorekayi chutney gontittille ,I only knew darle/heerekai sippe chutney.nice one.elli ninna mane eppadu? HI Raji, thanks for the compliment and joining my family...nanna appana mane Yellapura ( north canara) kottiddu sagara, eega ippudu Toronto dalli :) Sumaru havyakaru idda illi.. I think you are from South Canara, am I rite?